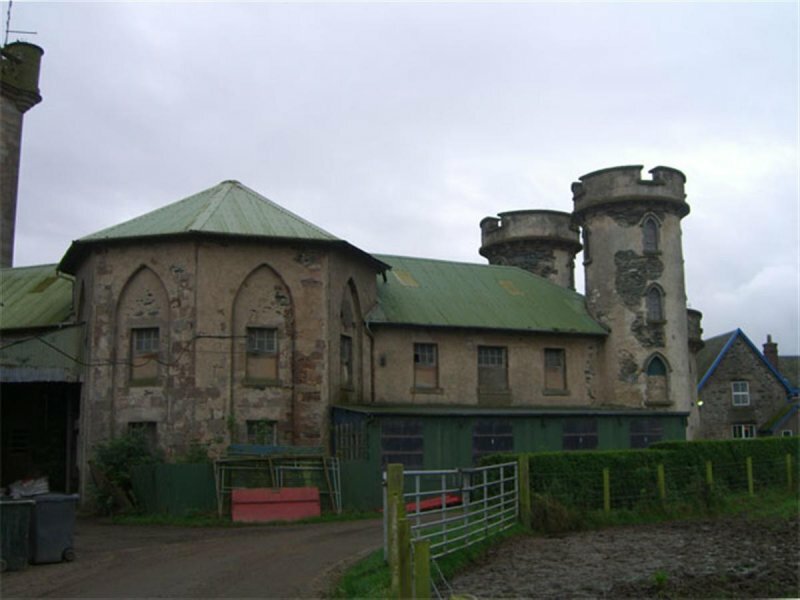 Large, symmetrical castellated Gothick steading; plan forming 3 sides of octagon with centre tower. Ashlar, sandstone and whinstone rubble with harl (some cement render). Pointed windows, bracketted cills; hoodmoulds; castellated parapet. OUTBUILDINGS: various lean-to, cast-iron buildings. Long semicircular, corrugated-iron pigsty immediately beside NE jamb. 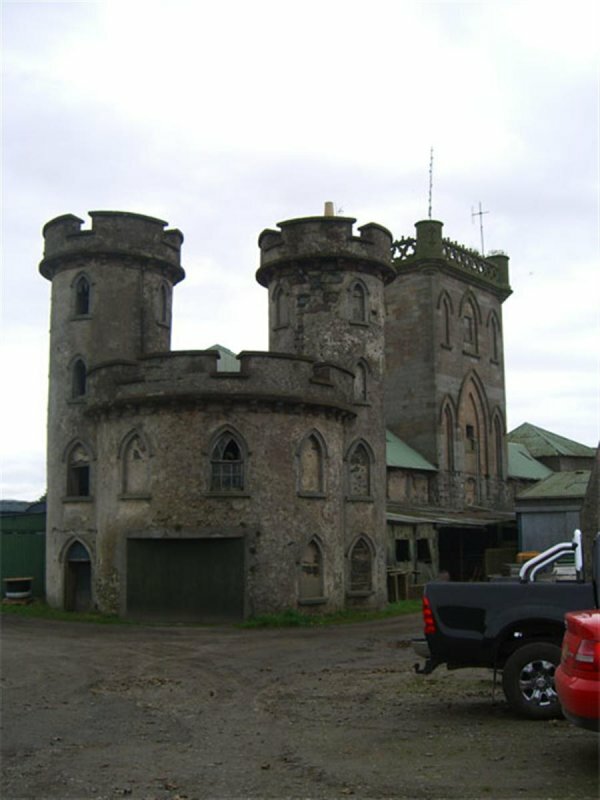 Rosneath Home Farm served Rosneath Castle, the original home of the Campbell's (Historic Scotland). 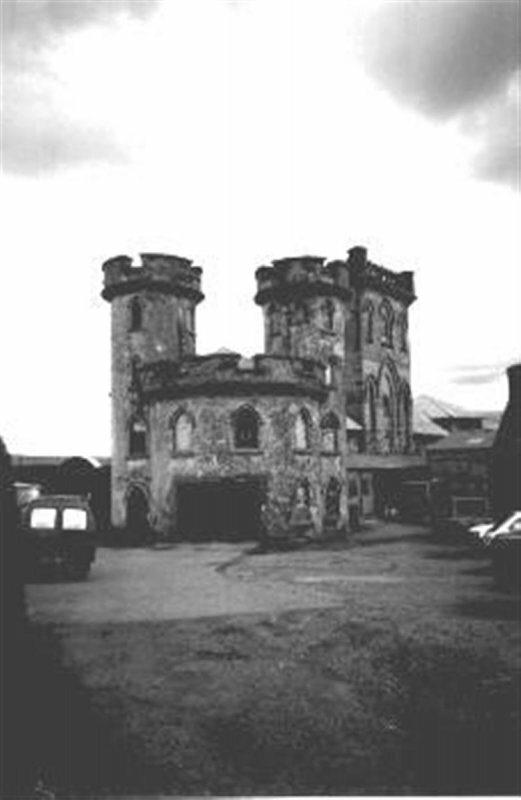 April 1996: External inspection reveals the buildings to remain in agricultural use but to be in very poor condition. December 1999: Local planners report that there appear to be serious structural cracks in the east tower. A Building Preservation Trust is currently exploring future uses of the buildings. 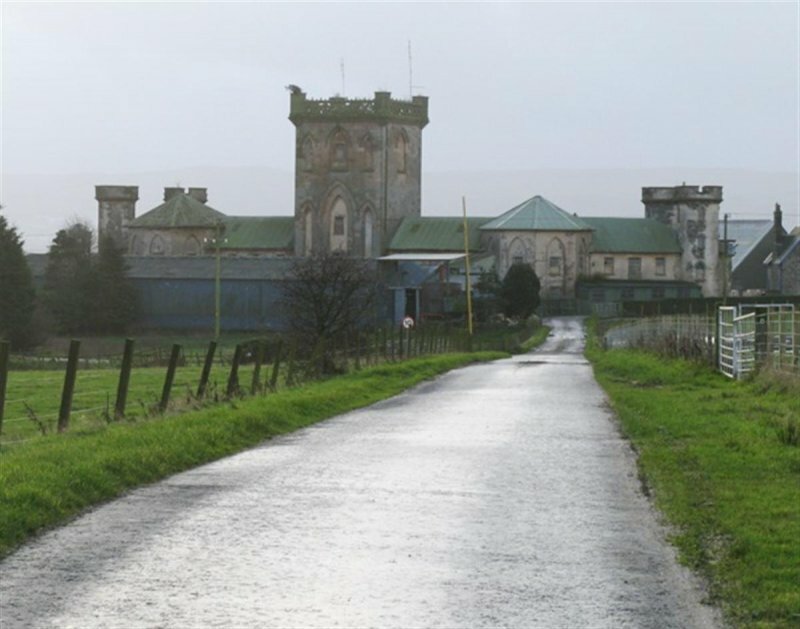 SCT understands that the National Trust for Scotland has investigated refurbishment schemes in the past but decided not to progress. The owner has intimated that he would be willing to enter into partnerships to see the farm restored. 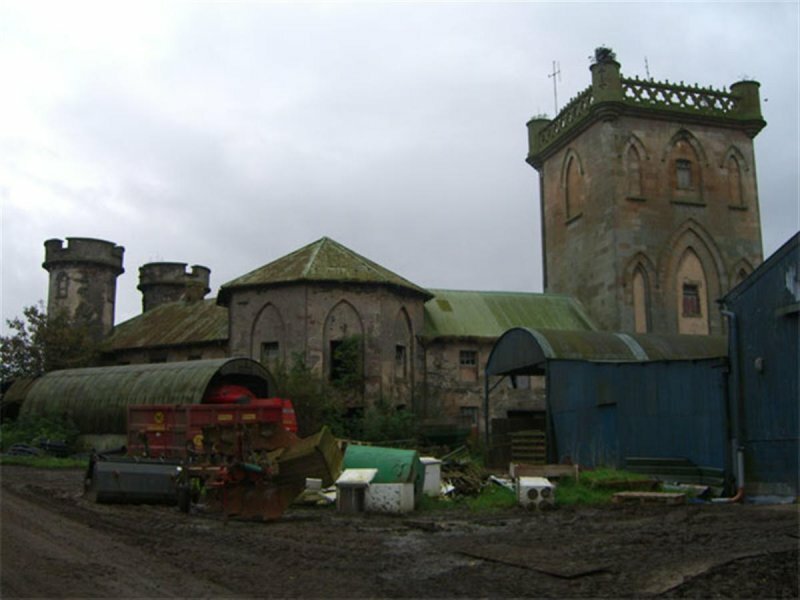 October 2008: External inspection finds the steading still in use as part of a working farm but in poor condition. The walls have some vegetation growth and loss of render. There are cracks in both elevations of the main tower. Most windows have broken panes or are boarded over. The east range is not maintained or in use as much as the west range. 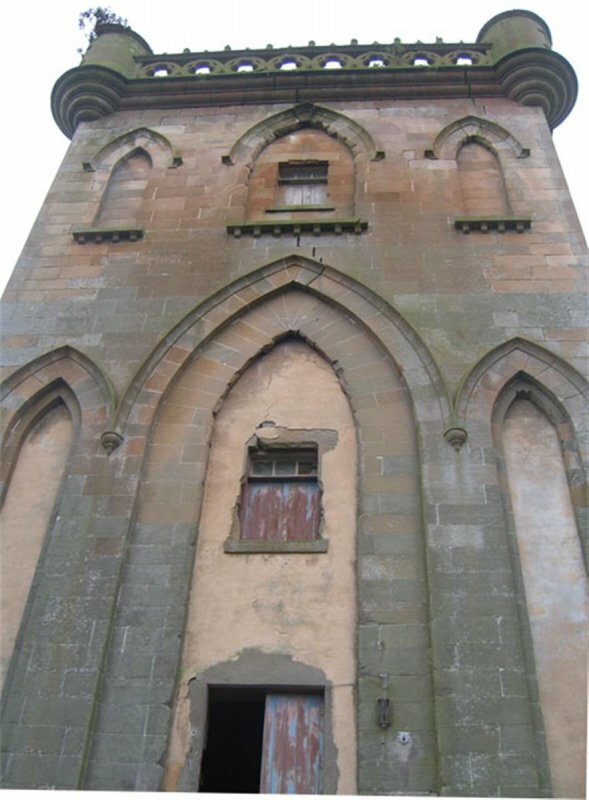 The farmer notes that the structural cracks evident in the tower have not worsened. 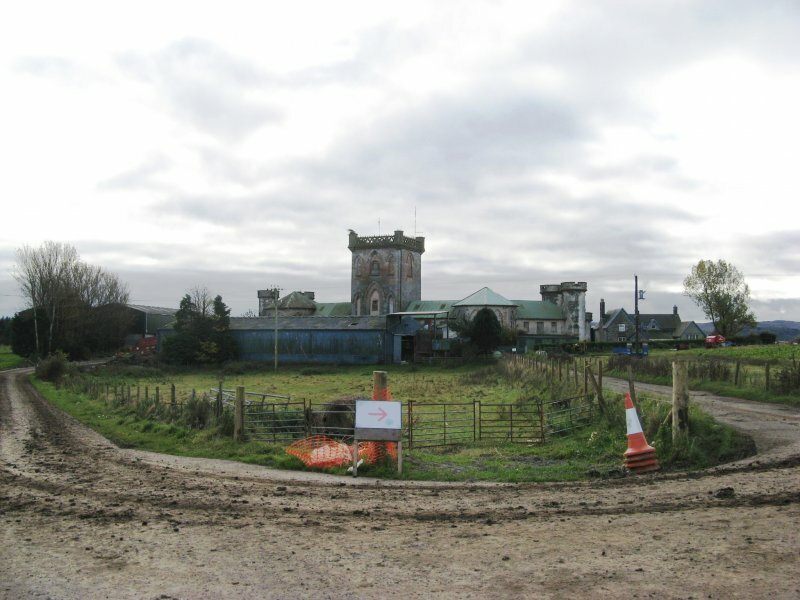 December 2009: External inspection finds the farm remains at risk and in general poor condition. Walker and Sinclair (1992), p104.